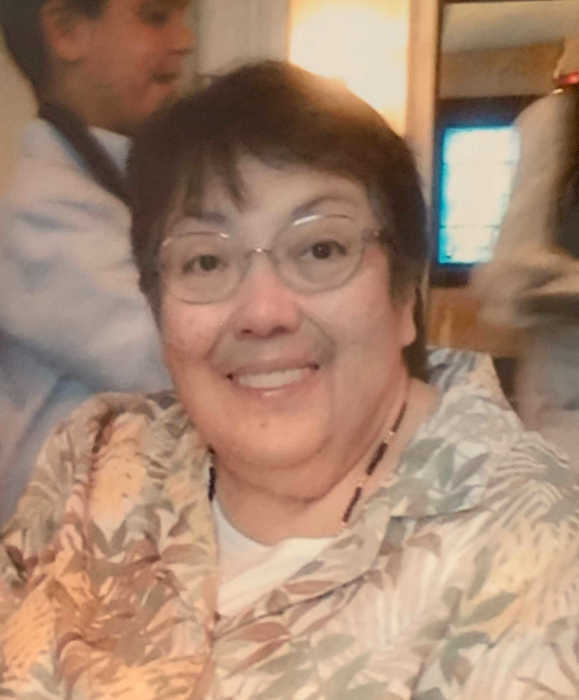 Houston - Rosa Maria Delgado Estella, went to be with her Lord and Savior, peacefully, April 1st, 2019, surrounded by loved ones at Bayhealth Hospital, Dover, Delaware. Rosa is survived by her husband, Herman Estella, her two beloved daughters, Illeanna Pick and Lissette Kinsella, her grandson, Jackson Kinsella, and legions of numerous nieces, nephews, cousins, and other close friends. She is preceded in death by her mother, Maria Garcia, and her father, Pedro Delgado, as well as by her sisters Medelicia Delgado Weick and Maria Hermañia Delgado Torres, and her brother, Francisco Delgado. Rosa’s story began on August 30th, 1943, when she was born in the small village of Humacao, Puerto Rico. Rosa attended high school, where she then planned to attend University. When Rosa’s sister decided to leave Humacao for Manhattan, Rosa embarked with her. She then settled in Manhattan, where she was a Dental Hygienist for several years before meeting her husband for over fifty years, Herman. They married on June 24th, 1967. Rosa then had two daughters, Lissette and Illeanna. Shortly after Lissette’s birth, Rosa moved out of Manhattan to Bay Shore, Long Island, with her children and husband. There, Rosa started babysitting children, as caring for youth was truly her life’s work. Rosa was an adored caregiver, and parents would travel far and wide, just so Rosa could watch their children. This was a true testament to her kindness, love, and generosity that encompassed her aura and essence. Any child that came into her life, became her own; and any person whom she met, became her family. In 2000, Rosa and Herman moved to Houston, Delaware. There, for several years, Rosa volunteered at Bay Health Milford Memorial Hospital, winning several commendations for her charitableness. Rosa didn’t do this, though, for recognition. She did this because she simply loved all those around her. Rosa had a grandchild in 2005, for whom she grew extremely close with. Now, we come to the end of Rosa’s story. Rosa has touched so many people’s lives in such a positive and jubilant manner, that truly afterlife is the most just reward. Anyone who knows Rosa will always say, “She just wants people around her to be happy, loving, and content.” Let her life serve as a role model to all of us, about how being kind and generous to those around us, is the greatest work one could carry out. The family will receive visitors at Rogers Funeral Home, 301 Lakeview Ave, Milford, from 1-3PM on Thursday 4/4, with a celebration of life at 3PM.